The War Memorial in St George's Church appears to have consisted of wooden panelling in a chapel within the church. Unfortunately we only have a photo of the centre of the panel, the remainder appears to have been lost when the church was demolished. We do have a list of names, however, from a contemporary newspaper article, which we have reproduced on the page linked above. Within St George's parish, the second oldest in Barnsley, are many non-conformist chapels. For a full list please consult our index page. We are very lucky that in Barnsley there survives a list of the soldiers, sailors, airmen and nurses who were serving abroad in late 1917, early 1918 in the form of the 1918 Absent Voters' List. This was compiled following the changes in electoral franchise extending the vote to all men over 21 and to women over 30 who fulfilled certain property requirements. So all servicemen who were over 21 or who would be 21 by the forthcoming General Election in 1918 were registered to vote. The Absent Voters tab above will return you to the index page for these lists which contains more information. The sections of the list are in a downloadable.pdf file and each file contains around 250-300 names. 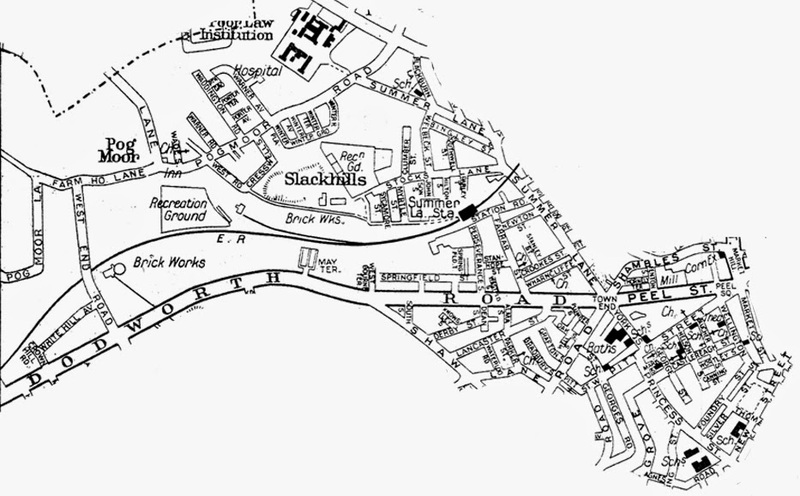 Due to the mismatch between Polling Districts and parish boundaries only streets in the area of St George's parish (see map above) have been transcribed. Other streets and parts of streets will be transcribed as part of neighbouring parishes. These pages have been transcribed by our volunteers and all mistakes are our own. Please let us know if you spot anything glaringly wrong and we will make ever effort to correct it. Note that abbreviations and spellings are transcribed as seen.